The Full Optic AMOLED Display with an 18:9 aspect ratio, allowing for a more immersive viewing experience. The new Sunlight display adapts automatically to harsh light when you access your gallery, take a photo, record a video, and gaming. A new adaptive algorithm automatically adjusts parameters such as screen contrast to ensure a clear viewing experience. 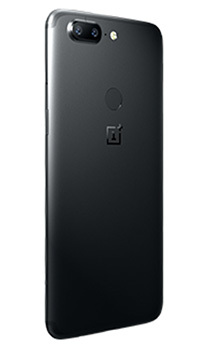 The chic, seamless all-metal chassis perfectly matches look and feel with durability, to make sure the OnePlus 5T is functionally and visually slim. With Alert Slider, you can toggle between settings without taking your phone out, allowing you to control notifications with ease. Optimized for low-light and portrait photography. The highly rated 16 + 20 MP cameras helps you capture crystal-clear shots and uses two sensors to put the focus on the face you’re capturing while blurring the background for a gentle, yet powerful effect. Capture 4K videos and enjoy Quick Capture that works beautifully with Fast AF (Autofocus) to help you capture that shot before it's too late. 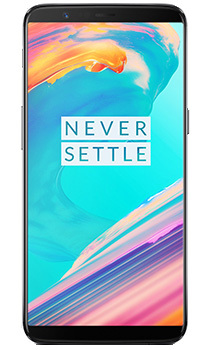 Thanks to the industry-leading Qualcomm® Snapdragon™ 835 processor, the OnePlus 5T powers through demanding apps and games, all while remaining incredibly power efficient. With up to 8GB of LPDDR4X RAM, day to day tasks are snappier than ever, and battery life is better. You'll have plenty of room for photos, apps, and files with up to 128GB of onboard storage.